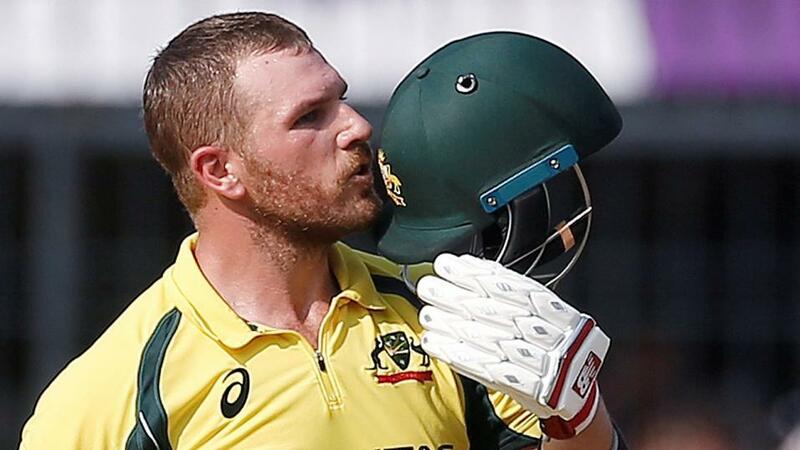 "Finch, who notched a 45 way back in 2013 in Manchester, is 7/4 for a fifty and 5/6 for over 28.5 runs"
We are still waiting for England to break sweat. A whitewash is in their pocket it would seem and Australia are powerless to do anything about it. Only a host's generosity might let them in with the inclusion of some second-string players. Craig Overton came in for a game at Chester-le-Street. But despite being expensive at nearly eight an over it made little difference. Australia's 310 looked competitive to everyone else but England were no better than [1.6] at the break. And why not? Victory was never in doubt as Jason Roy and Jonny Bairstow started tucking in. They put on 174 for the first wicket. England have not known dominance like it. Even the Scots made them perspire. Overton should get another go. It would be a surprise if Mark Wood played again as they like to keep him fresh. Jake Ball stands by. Australia's first-innings total - and the way they went about it - was further proof of something we already knew. They are playing a brand of ODI cricket which would win them game after game. Ten years ago. This format has moved on, largely thanks to the influence of T20, and Australia have stood still. For two men to get tons and to be one down only after the 20th over demands a batting teams busts 350 at least. Aaron Finch, finally showing some form, and Shaun Marsh were the centurions. Travis Head showed some neat touches, too with a half-century. But they were no match for England's organised recklessness. They did pick the right XI, though. It was good to see Nathan Lyon given a game and Alex Carey selected as a specialist batsman. He should have been batting at No 5 ahead of Ashton Agar, though. That's an insult. AJ Tye lost his place but he could come back in and replace Perth team-mate Jhye Richardson. The average in the last nine matches at Old Trafford is 226. West Indies posted 204 for nine last summer in a seven-wicket loss against England. In the two Royal London Cup matches in county cricket this season the wicket was full of runs with 300 twice busted. Indeed, Yorkshire made 379 in the Roses clash and only won by 16 runs. England should bust 350 batting first. For last summer's contest at Old Trafford England went off at [1.4] against West Indies. We wrote then that the tourists need help from both a toss bias and the weather to get anything from the game. As it happened there was a bias under lights and there was rain around. But West Indies had to bat first so lost the benefit of both. Is there any assistance for Australia this year? Nope. There is nothing in the flip in day games historically and even the reliable Manchester weather has let us down. It will be a sunny day. So it's impossible to make a case for the Aussies at [3.0]. England are [1.48]. David Willey made 131 off 95 balls for Yorkshire in that Roses match. Still, probably not worth backing him at 33/1 with Betfair Sportsbook. England top runscorer at the ground in the last five years is Bairstow - 127 runs in three. He is 11/4. Roy is 10/3 and has 67 runs in two innings. Finch made back-to-back half-centuries on this ground against England in 2015. Now he has found some nick after a poor start he will be well-backed to land top Australia runscorer honours. He is 10/3 with Betfair Sportsbook. Marsh gets a 7/2 quote. Carey, who we rate, is 6/1. Finch, who notched a 45 way back in 2013 in Manchester, is 7/4 for a fifty and 5/6 for over 28.5 runs.